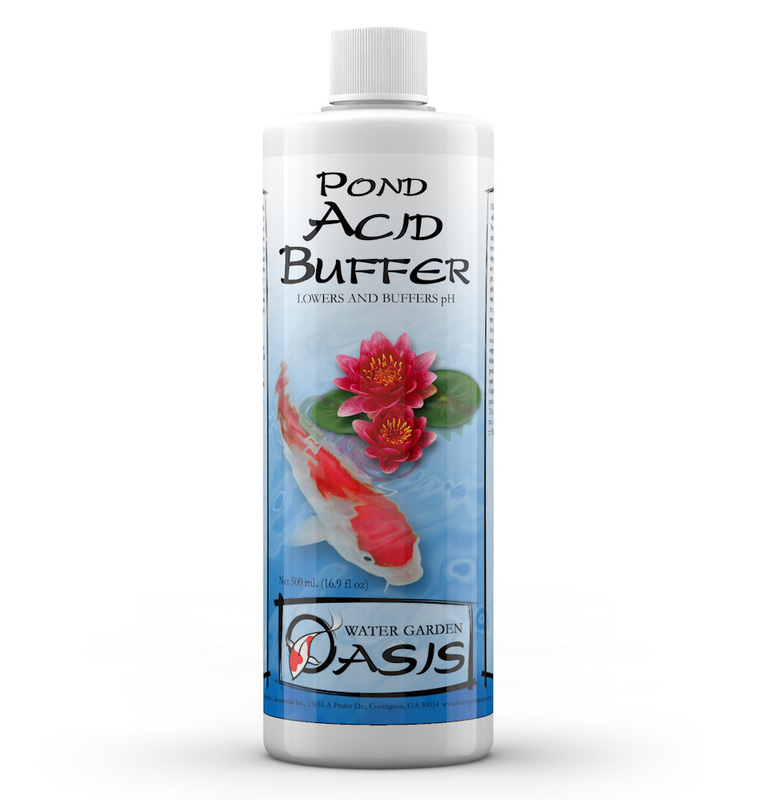 Pond Acid Buffer™ is designed to lower pH in decorative ponds without the use of phosphate or phosphoric acid. It is ideal for use with planted ponds containing koi, goldfish, or other pond fish. It is not eutrophic and will not promote algae growth. It is particularly useful in lowering the pH in concrete ponds. Add 500 mL (2 cups) of Pond Acid Buffer™ to each 1000 L (250 US gallons) of pond water each day until target pH is reached. Add near a pump intake for optimum mixing and dispersion. CHECK pH AFTER EACH DOSE! NEVER USE IN A NON-CONCRETE POND WITHOUT ALSO USING POND PH BUFFER OR A PH/KH TEST KIT. Use when needed to maintain pH. Concrete ponds will require more frequent use than liner ponds. Optimum pH for most ponds is between 7.2 and 7.8. This product will not raise pH. To raise pH, use Pond pH Buffer™. There are no questions for Pond Acid Buffer™. Ask us a new question.